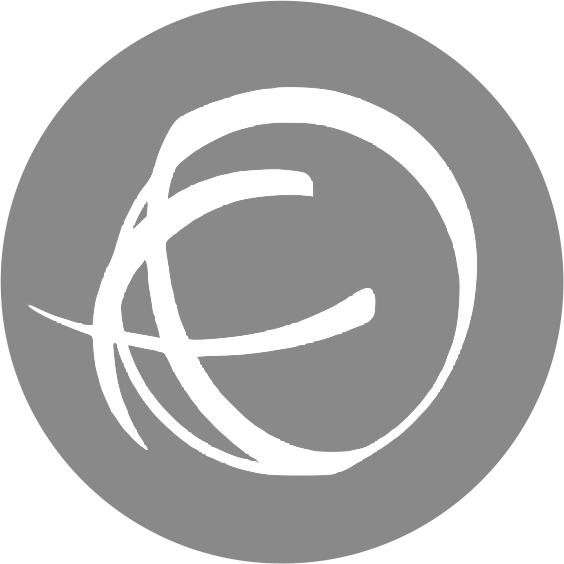 Do you ever name your projects or patterns? And if you are someone that does, do you ever have trouble coming up with something suitable? Sometimes I find a name will attach itself quite naturally while I working away and seem quite suitable. Other times, I struggle. This was one of those times. 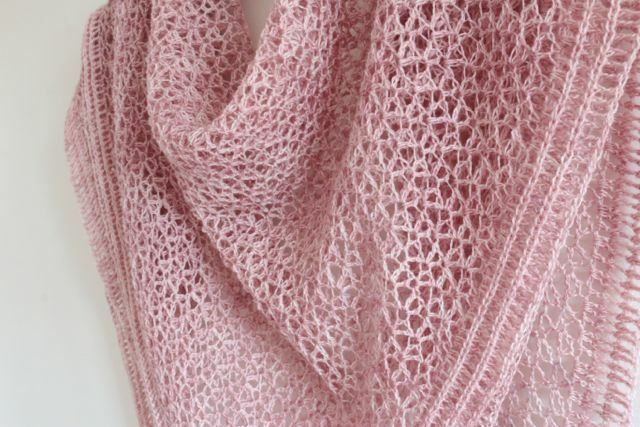 The working title for this particular pattern was 'pink chain mail' for if nothing better pops into my head, something very literal tends to and there is something very reminiscent of chain mail about the look of the fabric of this shawl. Although I assure you that's where the resemblance ends. Ok, not one of my most inspired moments I grant you. That mundanity aside though, I'm so, so chuffed with how the rest of it turned out. I love how it looks, I love the feel and drape of the fabric, I love the colour and it's one of my absolute favourites to wear. I made this last year and I've been wearing it so much since it was finished. 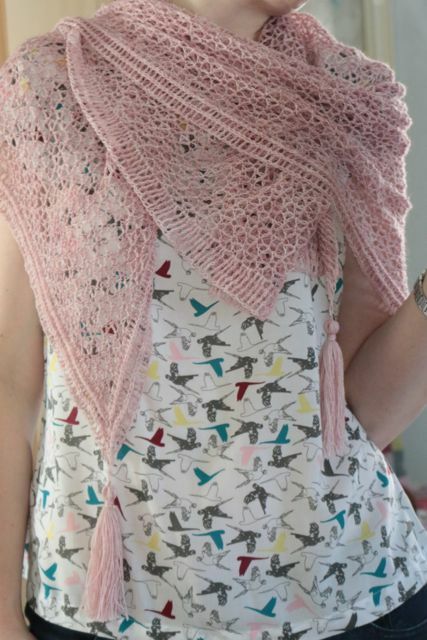 I'd say it was a three season shawl and you could wear it most of the year here in the UK apart from when we are lucky enough to have a summer. It's quite nice and light and airy for spring and warmer autumn days but wrap it round and those layers mean it's nice and snuggly on all but the coldest winter days. 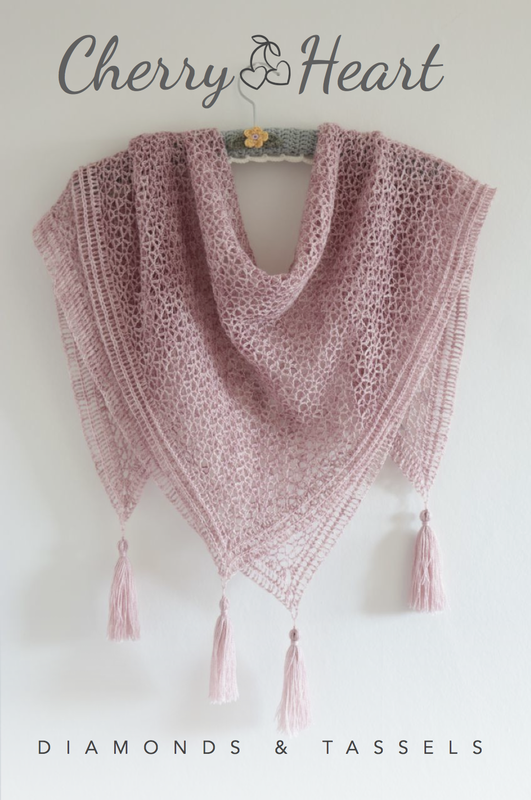 It's a nice one to make too as it works up quite quickly and the main part of the shawl is a nice simple design. 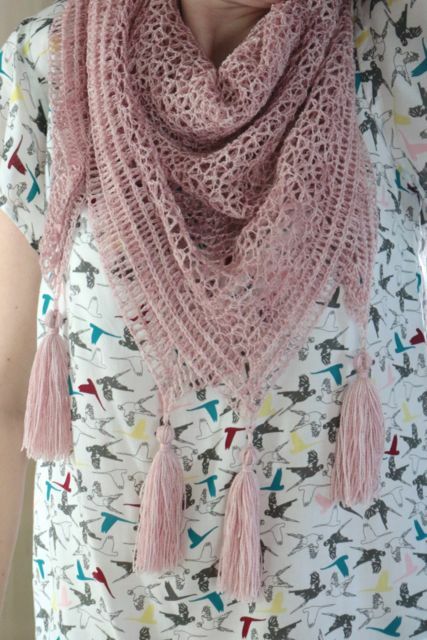 I made mine in a lace weight yarn with a little silk and I love how it opened out so beautifully in the blocking. I've decided to rate this pattern as an intermediate level project. It's simple crochet stitches for the most part, although there are some intermediate stitches in the border. It's mostly only a little tricky if you are not used to crocheting in laceweight yarn as that does take a little getting used to. 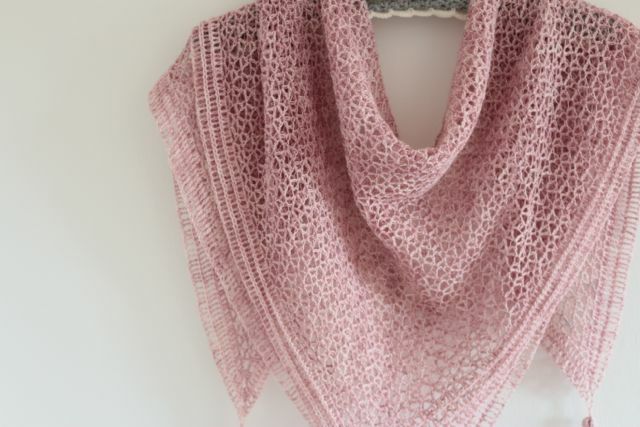 You could always make it in 4ply if that worried you, although I think this would make a great project to try out crocheting in laceweight for the first time. As with all my patterns though, I do always try to make them as easy and accessible as possible and so I think that confident beginners would definitely be able to tackle this too as I include lots of helpful information and photos or tutorial links to help with anything that might trip you up. 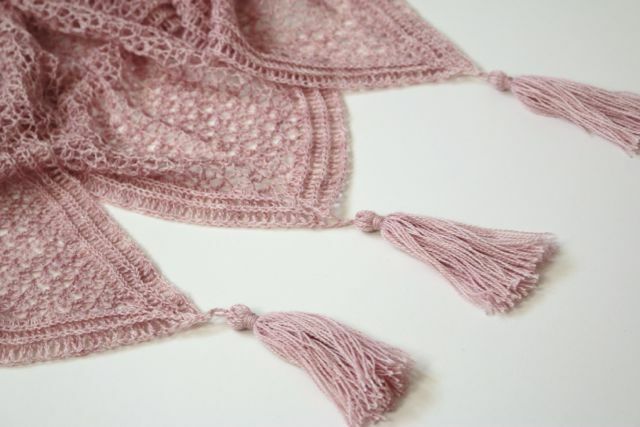 Oh, and if you're worried about making the tassels, there is a full photo tutorial for those in the pattern. I hope you enjoy using this pattern!